The author, Jorunn Veiteberg has a Ph.D in art history from 2000; - "Det moderne maleri er plakat / The modern painting is the poster". She has written several books about art, advertising and communication, like "Reklamebildet" (1986) and "Reklamekunstnaren Alf Ellingsen" (1988). All the books are in Norwegian . She has been curator for several exhibitions, chief editor in NRK-TV (Norwegian Television) and she has published several articles about modern art. 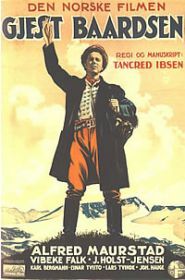 The book starts with two chapters on the breakthrough of the poster in Norway in the 1890s and on "The poster and the modern world". The written presentation is structured around the three main types: - advertisements, political posters and cultural posters. 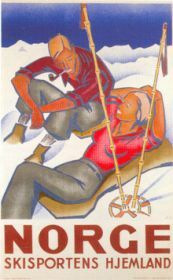 The book contains a large numbers of rarely seen or almost unknown posters together with lots of references and sources. 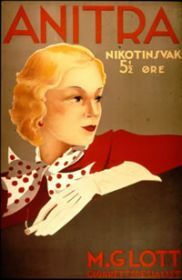 "Den norske plakaten" represents an extensive and determined research in Norwegian collections covering such specialized areas as theatre history, film and working-class culture. The research is based on collections in the University Library in Oslo and the museums of applied and decorative arts in Oslo, Bergen, Trondheim and Copenhagen. From the cover of the book: "This book is about something vague: posters. One week or three is all they are given before they are torn down, covered with dirt or another poster, or simply removed. But not all are gone for ever. What is a plakat (poster)? The word originates from the Dutch word "plakkaat" and goes back to French placard/plaquard witch means bulletin. 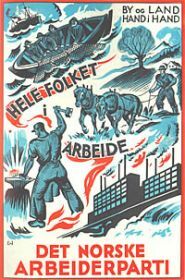 The book contains more than 180 Norwegian posters from advertising, politics and culture. The posters span over large time range, even though the 1900's is the posters prime 100 years. 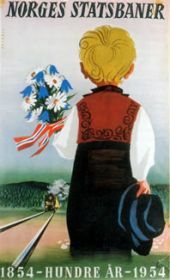 The poster uses a language for people in motion and tells a lot of important issues from the past. Looking at old posters we can see what we have been busy doing, trends and what has been part of the daily life of the past. The poster also tells the history of the nation: All important happenings have a poster. The poster misses the unique and exclusive character as traditional art. It has been issued large quantities, distributed all over and because of that been given a lower status in Norwegian art history. 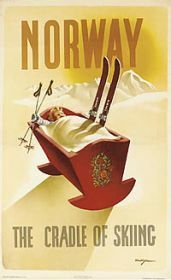 The book about the Norwegian poster is simply written with a wish that the poster gets more recognition and status in areas of historical source, communication and art. " The book represents an important contribution to research in the history of Norwegian visual culture in the 20th century. The book was resold this year at the Norwegian large book sale "Mammut". I think it is out of print from the publisher but available from many antiquarians, and should be represented in a poster collectors book shelf. 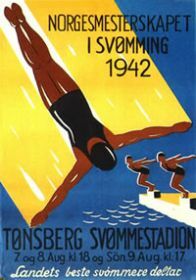 Dag Suul is one of the few norwegian poster collectors. 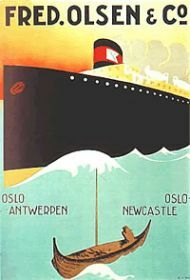 Many more posters from Norway can be found on his web site www.posters-nor.com .